General Hospital Puzzle Challenge: Which Cast Member In This Iconic Wedding Photo Is Still On GH? General Hospital fans have seen countless cast members come and go throughout the years, some characters were killed off entirely and other were recast. Can you put together this iconic General Hospital wedding photo and find the ONE cast member who is still on GH today? 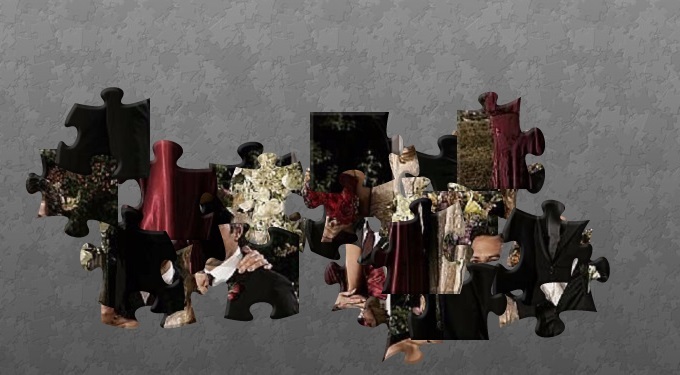 Let us know your puzzle challenge time in the comments below, let’s see who can put this wedding photo back together the fastest! You Might Also Like —>‘General Hospital’ Puzzle – Identify These Two GH Characters We Miss! ‘The Bold And The Beautiful’ News: Who Is The New Sally Spectra, Courtney Hope?